Following in the footsteps of Clara Barton and Florence Nightingale, currently the biggest group of healthcare workers in the United States is represented by nurses. 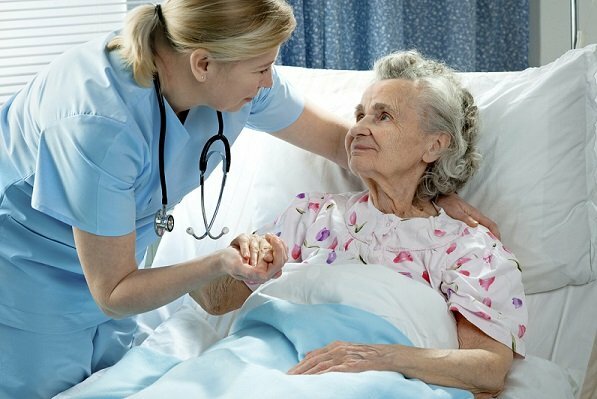 In fact, the U.S. Bureau of Labor Statistics (BLS) has put forward an estimate that almost 2.7 million registered nurses are currently employed at long-term care facilities, nursing homes, physician offices, hospitals, and even working outside of the brick and mortar nurse related work environment to find new horizons. There are a plethora of reasons why people are drawn towards this equally gratifying and lucrative career, making this wide ranging profession one of the most sought after careers in the society. Reserach all the different nursing schools available in your state. Registered nurses (RNs) enjoy one of the most singled out careers in the United Sates. According to O-Net, the profession is estimated to grow up to 26 percent in 2020. This booming popularity is one of the biggest reasons that a career as a registered nurse is ranked as the second highest healthcare job in the United States. Through the implementation of the affordable care act in 2013, more and more people are gaining access to healthcare. Experts predict that this sudden escalation in demand of registered nurses could potentially pave way for up to 400,000 job openings in the healthcare industry each year, over the next 10 years. Nurses, who are graduate degrees holders and have acquired licenses that allow them to practice most of the basic functions of a physician, are indispensable in meeting the expected shortage of healthcare staffing in the coming years. Almost 10,000 people are crossing over to seniority every day, and the trend is expected to continue till 2030. As this significant chunk of population continues to age, they are going to need a good deal of medical resources and extra health care. This puts a pressure on the healthcare industry to provide qualified nurses, especially nurses who have specialized in geriatric care to identify common symptoms from critical ones, act as a healthcare advocate, and coordinate care plans. According to the American Nurses Association (ANA), when we talk about the currently employed nurses, the median age is estimated to be 42, with half of the workforce close to retirement. It is predicted that most of these nurses will step into retirement by 2020, adding to the current conundrum of creating more job openings for newly qualified workforce. A call to action has been issued by ANA to start the education and preparation of new nurses for meeting these unprecedented circumstances. The inception of cutting edge technology is fast changing the scope of the healthcare industry, especially nursing. Informatics is one field in particular, which is opening entirely new doors for nurses. Informatics is concerned with quantitative and qualitative measuring of data and statistics, while nursing informatics diagnoses that data and transforms it in to meaningful, easy-to-understand information that can be used for patient care and treatment. Nurses are required to specialize in data analysis before they can forage this new horizon. The field of Informatics is not the only interesting and new nursing specialization these days. Some other unique specializations include cruise ship nurses, plastic surgery nurses, forensic nurses, and travel nurses. When you choose to pursue a career in nursing, know that sky is the limit. Even if you get bored and lose interest in your initial area of specialization, you can always transition to a new field later in your career. In order to bolster the quality of nursing care in the United States, the Robert Wood Johnson Foundation and Institute of Medicine passed an initiative demanding at least 80% of currently employed nurses to acquire baccalaureate degrees by 2020. In order to support the educational growth and development of their employees, all healthcare institutions are encouraged to nurture a work culture that fosters continuing education and offer incentives to their employees, such as tuition reimbursement. 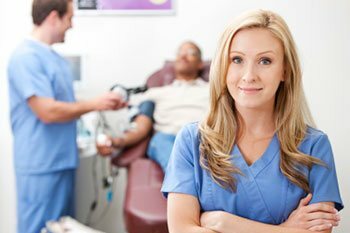 An Associate’s degree in Nursing opens doors to a plethora of commendable entry-level nursing positions and generally takes about two years to complete. While a lot of nurses start out their careers with an Associate’s degree, they do end up getting their bachelor’s degree later on, since its essential for becoming marketable in almost all aspects of nursing. BSN: A Bachelors of Science in nursing program offers accelerated nursing options available to students who hold a baccalaureate degree in some non-nursing field, and take about 4 years to complete. When compared to the past, nurses today are much more autonomous, and this independence entails the advanced knowledge and thinking skills of a BSN degree. MSN: Registered nurses who wish to pursue a career as a nurse manager, nurse anesthetist, nurse educator or an advanced practice nurse, must first posses a Master’s of Science in Nursing through an accredited graduate degree program. It’s no secret that nurses enjoy much flexibility in their schedules, but they also enjoy a wide variety of other aspects where they are given myriad options to choose from. One great reason to choose a career in nursing is the flexibility of location it affords. Nurses are found working everywhere from traditional settings, such as doctor’s offices and, to less obvious locations like schools, health care facilities, and in the air as an emergency flight nurses. To put it in a nutshell, nursing is one of the most versatile careers out there. Despite the inflation, salaries for nurses have grown significantly in the last few years, making this career as lucrative as it is meaningful. In fact, according to a study published by the Health Resources and Services Administration’s Bureau of Health Professions, the salary for RNs especially grew from an average of $20,000 in 2000, to above 63,944 in 2016. According to Gallup research polls, Consumers have consistently rated nursing as one of the most well respected professions. This is a career that makes you feel proud and a harbinger of change. People look up to nurses in crises and emergencies and entrust them with some of the most noteworthy moments in their lives. Additionally, nursing offers a plethora of opportunity for personal growth and development. Nurses may choose to fill general practice positions, for instant becoming a nurse practitioner (NP) or a registered nurse (RN), while some nurses may instead opt for concentrating on a specialty, such as a family nurse practitioner or an oncology nurse. Myriad certifications allow nurses to seek job opportunities that entail a specific set of expertise and skills. A nurse can take on multiple career paths during their professional life. Even if you are currently specializing in one field, you always have the option of changing your area of specializations when you feel that a change is needed. The job positions that a nurse can take on are as diverse as the locations they can work in. Work environments include nonprofit organizations, military bases, insurance companies, doctor’s offices, specialty care centers, home care facilities, government agencies, elementary schools, hospitals, and even on site nursing found at state/national parks, zoos, and amusement parks. The rising trends in nursing over the past few years, such as nursing as a rising stone, nursing as a second career, and more men in nursing, have made the career a more enticing choice for new professionals. The exceptional experience and knowledge that nurses garner during their careers and training creates a viable candidate, possessing highly portable and marketable skills that are required by all entry-level nursing positions. From the picturesque coasts of Florida to the pristine beaches of Honolulu, there are literally a plethora of places around the globe where you can pursue a nursing career. Travel nursing allows you to set your own path and lets you be in control of your nursing career. You get to choose the length of commitment, nursing specialty, and location for each nursing assignment. The shortage of skilled nurses in clinics and hospitals around the country allows you to seek out short-term work in any location and setting offering generous compensation. Most facilities offer attractive perks, such as sign-on and completion bonuses, and free housing to nurses under contract. As a military nurse, you can give back to the country by supporting the troops both abroad and at home. In addition to the prestige of being given the chance to serve your nation, choosing a career in the armed forces lets you explore new and untapped horizons for a wide array of career-enhancing, travel, and educational benefits. You can receive generous financial bonuses and financial assistance for completing nursing programs, in addition to world-wide travel opportunities, specialized training, and low cost housing. In addition to advancing your nursing career, you feel like you are doing your part in protecting your nation. To help the law enforcement agencies bring criminals to justice, the advances in the burgeoning field of forensic science are leveraged all over the States. From collecting valuable DNA evidence to documenting injuries, the forensic nurses are required to work on the front lines of justice. The job entails you to collect evidence, conduct physical examinations, and counsel assault victims. A forensic nurse has an important role to play in putting criminals behind bars by testifying against defendants at trial. While forensic nursing can be an emotionally challenging career for some people, it is highly rewarding and meaningful. A legal nurse is akin to a medical detective, leveraging their nursing expertise to scrutinize medical records for the legal teams they are working with. This career lets you employ your medical skills and expertise in the courtroom by testifying as an expert witness in courts on a wide array of personal injury, product liability, civil rights, and medical malpractice cases. While an obvious setting for legal nurse consultants seems like a Law firm, you can also find them working in the government offices. When it comes to the health care sphere, legal nurse consultants garner great jobs at medical facilities, insurance companies, and HMOs. Surgical nurses are required to assist during quadruple heart bypasses, operations, and precision laser incisions, to name a few. Their job responsibilities run the gamut from preparing the patients before surgery, helping the surgeon in the OR, and charting progress in recovery. In short, they should be with the patient every step of the way. Comforting nervous patients and their apprehensive families, alleviating discomfort and pain, and monitoring vital signs are some of the most rewarding parts of pursuing a career as a surgical nurse. If you are bilingual, this career path is perfect for you! And by bilingual, this means being well proficient in both the languages of nursing and technology. Nursing informatics can be a great career option if you have the ability to decipher both perfectly. Nursing informatics specialists are the chief communicators between health care providers, patients, and nurses. Systems maintenance and project management are some aspects of the job.